Pickleball: the sport sensation that's sweeping the nation! Try it out at the City's new pickleball courts at Fairburn Park. One of North America’s fastest growing pastimes has come to Prince George’s City parks. This summer, crews installed four pickleball courts at Fairburn Park, near the intersection of Foothills Boulevard and North Nechako Road (access off of Fairburn Place). They are the first four public pickleball courts in Prince George, although the Prince George Tennis and Pickleball Club also has courts available to members. So what the heck is pickleball? Pickleball involves using paddles to hit a ball over a net and is similar to tennis and badminton. The layout of a pickleball court is similar in size and dimension to a badminton court, but the play is more akin to a modified version of tennis. The installation of pickleball courts relates to Council’s strategic priorities relating to encouraging and enabling physical activity in Prince George. The courts are available for drop-in and are also available for bookings on the City website. Members of the public who are over the age of 40 and who wish to give pickleball a try can sign up for a Try-It! 40+: Pickleball session on Thursday, November 15 from 6:30pm to 8:30pm at Glenview Elementary School. Although the Try-It! session is located indoors, participants receive professional coaching and instruction at no charge. View more info on the Try-It! event or pre-register on the City website. Try-It! 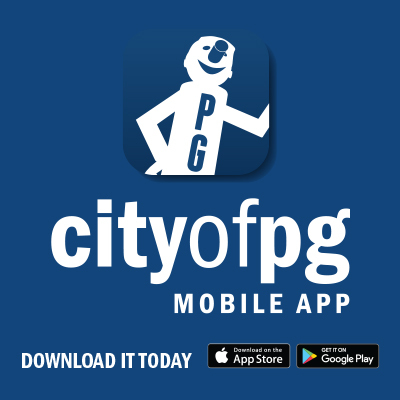 is a partnership between the City of Prince George, Engage Sport North, and PG's Community Associations. Try-It! 40+ programs for older participants are funded through a UBCM age-friendly community grant.